Have your baby’s teeth made an appearance? Maybe he is just beginning to show signs of teething. In any case, his mouth’s cleanliness is very important! The following guide will help you keep your baby’s beautiful smile shiny and healthy. How do I clean my baby’s mouth? If your child has no teeth yet, clean his mouth with a sterile gauze, passing it over his gums to ensure a clean mouth. When his little teeth come out, encourage him to drink water as this helps cleanse and get rid of remaining food in his mouth. Avoid tooth decay by not letting your baby sleep with a bottle. 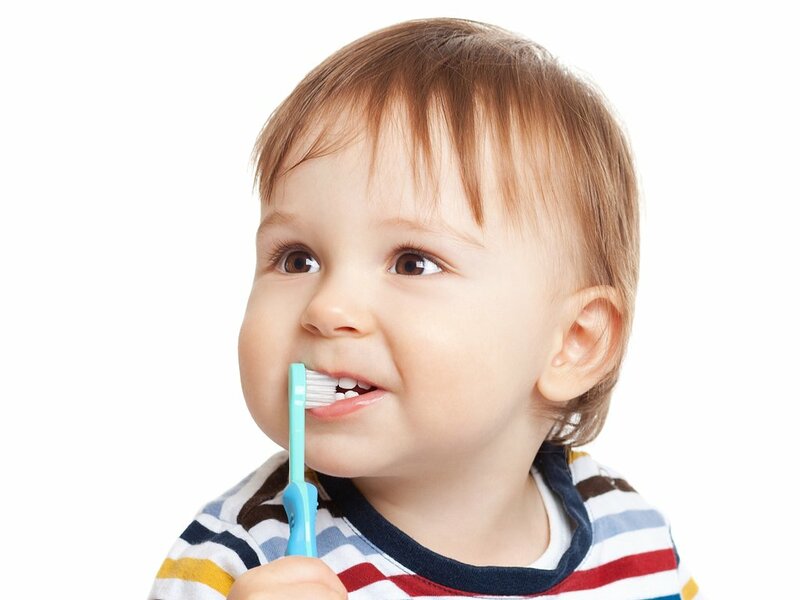 Once your little one has teeth, you can introduce his first toothbrush. Make sure it is extra soft and designed specifically for babies. Use toothpaste that contains fluoride, one that’s recommended by your doctor. You should only use very little of it, the size of a grain of rice, so that no excess remains in his mouth and he doesn’t swallow it. At this age he probably won’t spit out, so try to brush his teeth lightly a second time using just water to rinse his mouth. Normally, it’s advised to wash a baby’s teeth twice a day. However, this recommendation can vary, so ask your pediatrician what is best for your child. The best position to clean your baby’s mouth is sitting him on your lap with his head resting on your arm. Try to make brushing his teeth a game, so that he becomes more motivated to participate in this healthy habit. Finally, if your little one doesn’t like brushing his teeth, try not to force him to keep still, instead distract him a little and continue. You could also ask your partner to help you!